2271 - Sec Foam Cone dimensions are 19 x 60cm and are available individually. 2232 - Sec Foam Cone dimensions are 12 x 32cm and are available in boxes of 3. 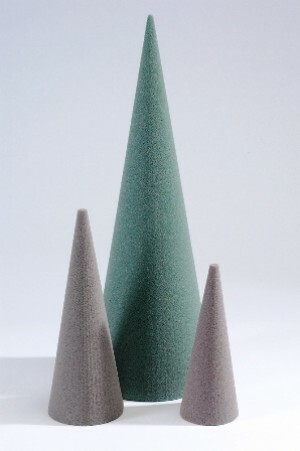 2224 - Sec Foam Cone dimensions are 9 x 24cm and are available in boxes of 5. 21-90005 - Sec Foam Cone dimensions are 8 x 20cm and are available in bo0xes of 5.